This bridge has 2 3/16" (2 7/32 exact) String Spacing,and Hole Mounting Space. Mini Strat neck pickup for Telecaster by Harmonic Design. Sounds like a Strat neck pickup but Telecaster size, made in the US by boutique pickup company Harmonic design. This is the new locking version of the standard Nashville Tune-O-Matic with the newly-developed G-Formula saddles. The formula has been redeveloped and is vastly superior in both life and tone. Would you expect anything less from TonePros®?. Soldered connections to the input jack are insulated with heat-shrink to ensure durability and long life. Wiring Diagram Included. Sunburst 3 tons. Body Fender USA pour droitier sunburst 3T en Aulne. Finition polyester brillant "sunburst 3 tons". Fabriqué par Fender aux USA. Made in USA en 2018. Pré-perçage des cordes "through body". Non vernis (sealed),Radius 9.5", 21 cases, profil Thin (fin) C (20 à 22,6mm). Made in USA by Musikraft Lic. Fender® ref. Unfinished(sealed),Radius 9.5", 21 frets, profil Thin C (20 à 22,6mm). NUT SLOT STYLE: 1/8 Standard Fender Flat Bottom DOTS: Black Plastic. New Manche STRATOCASTER. Convient pour toutes stratocaster Squier, Fender ou autres. ce manche est de haute qualité avec une finition remarquable. manche maple 22 frettes. largeur au nut (tête de manche): 41,5mm. Réf: WDSFR. Body en Aulne pour STRAT. New body WD Music STRATOCASTER. Fiesta Red. Finition polyester brillant "Fiesta Red". Ce body est neuf. 920D Custom LP-PAGE Les Paul Wiring Harness. 920D Custom Signature Wiring by Gavitt Wire. 920D Custom Signature Wiring. All 920D Custom products are highlighted with our signature orange wire. Gavitt Wire, a leading producer of premium guitar wire, has agreed to custom manufacture our signature cloth covered pushback wire, and we believe it is the perfect choice for hotrodding your guitar. Vintage Humbucker DIMARZIO !!! Début 80's ; LE son qui a inspiré les autres ! Début 80's ; LE son qui a inspiré les autres ! Eddy Van Hallen, en particulier. Parfait état fonctionnel. 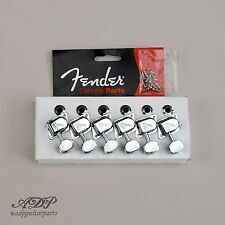 adaptables pour PB /JB Fender Japan 90' ou d'autres manches avec perce et points de fixations identiques. Wiring KIT SG & LP avec push/pull. pour guitare style Gibson SG ou LP. peut convenir à de nombreux modèles de guitares style SG & Les Paul. pour facilité et sécuriser le transport, ils se retirent et s'adaptent à votre guitare. Set of Two Stainless Steel slats for sale. Pair of Acoustic Guitar Side Bending Machine. Not A bending Machine. Hosco double edged nut slotting files are massively popular the world over, this set is made up of thicker gauges for bass guitars (although the most of the gauges would also be useful for the thicker strings on 7 and 8 string guitars) and is made up of the following widths.045"/.085". 065"/.105" and. 075"/.130", having specific file edge widths makes slotting nuts considerably quicker and easier. Table palissandre. Manche renforcé au dos par une nervure de palissandre. New manche érable Jazz Bass. Convient pour toutes Jazz Bass. vernis brillant (uréthane). Finition teintée jaune puis plusieurs couche de vernis. SANS SOUDURE (connexion par bornier à vis) - fabriqué à la demande. ® CRL USA 5 positions SANS bouton. With traditional threaded block designs, when you use the arm you create forces that are concentrated right on the threaded portion of the arm - its weakest point. This is where arms typically break. Now we have added 2 great features. 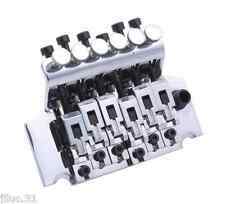 Oak Grigsby 5 way switch for 5 distinct Strat sounds plus Switchcraft 1/4 jack. Blues 64 Strat wiring diagram with easy to read step by step installation instructions. Tremol-No™, Pin Type Tremolo Locking Device with Hardware. The Tremol-No is a patented device that is added to an electric guitar equipped with a tremolo/vibrato unit. It allows guitarists to turn their tremolo unit "on" (so they can change the pitch of the note with the tremolo unit) or "off" (where the tremolo unit doesn't move at all; no change of the note pitch via the tremolo system). Chevalet Kluson TOM standard Se monte sur la plupart des guitares équipées pour Tune-O-Matics. Nashville Tune-O-Matic Bridge. CHEVALETKLUSON TOM en BRONZE Chromé, pour guitares style Gibson. Standard US Modern specs Tune-O-Matic Bridge. ® (6 en Ligne coté gauche pour droitier)vissage par ecrou central pour percage moderne (10 mm )SKU: SC501942 - 10100220. Da Vinci : c'est la nouvelle série de Schaller. au look élégant. ® et Les Paul. Very easy to fit. Love your Strat but want to push it just one more step?. Looking for a new sound on your custom Strat?. Looking for that David Gilmour / Pink Floyd / eric clapton tone?The Stratocaster Harness with 7 way switching is your answer! Auto-Trim Tuning Machines. The 18:1 ratio worm gear constructions ensures greater precision than standard tuners and ensure tuning stability even during the hardest playing. Precise 18:1 gearing ratio for smooth, exact tuning with minimal string slippage. EMG AB Afterburner / NEW OLD STOCK ! Afrikanische Cedro Korpusrohling. Hinweis; "Stiftästchen" daher eher für deckende Lackierung. 600 mm lang x 359 mm breit x 46,2 mm stark. Sauber verleimt ( mit Titebond Premium ). Der Rohling wiegt ca. 3,61 kg ( 361 kg/m³ ) ! Afrikanische Cedro Korpusrohling. 490/460 mm lang x 341 mm breit x 45,4 mm stark. Sauber verleimt ( mit Titebond Premium ). Der Rohling wiegt ca. 2,87 kg ( 388 kg/m³ ) ! Hinweis auf Beteiligung am Befreiungssystem der Landbell AG. ® Original (Fat Brass) 42mm- FROFTB42P. BLOC BARILLET en Laiton pour Tremolo FLOYD ROSE. 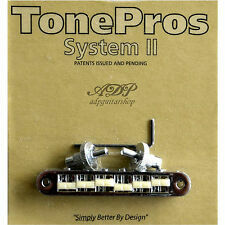 ® Original Fat Brass Tremolo Block42 mm. Aspect vieilli - Distress Nickel. et autres Precision et Jazz Bass. Set of 4 inline right hand Jazz & Precision bass tuners. dim entre les trous pour les 4 vis. The sound is very clear and transparent. Distortion is well below 0.001%. This preamp can be used with either 1 – 9 volt battery ( 9 volt operation) or 2 – 9 volt batteries (18 volt operation) which yields 6 dB extra headroom. ® SG ou Les Paul. Switchcraft Right Angle 3-Way Toggle w/ Black Switch Tip & Deep Collar Nut. Switchcraft #11 Mono Output Jack. Here is a great way to upgrade your SG or SG style guitar with high quality components in one easy drop-in harness. Electric Guitars. This OEM part is available in either Nickel or Gold finish. Keyboard Accessories Stands. Keyboard Amplifiers. Keyboard Workstations. Portable Keyboard. Guitar Care. Power Supplies. Does not include bridge mounting screws. weight 86g. CHEVALET - CORDIER Fender. REPRODUCTION DE QUALITE DU CELEBRE VIBRATO. Gotoh 404B04-C "Multi Tonal" BASS BRIDGE BLACK with 4 2 screws. CORDIER pour BASSES 4 cordes GOTOH NOIR "Multi-Tonal". Les cordiers 404 ont des plaques de base en zinc dur qui fournissent une réponse de fréquence plus plate. Our 920D Custom S5W-HSS harness is designed for strats with a full sized humbucker in the bridge position. It features a 5-way super switch that automatically splits the humbucker when combined with the middle pickup (position 2).